NASA 50 magazine, chapter: NASA People, "NASA Engineers and Scientists: Transforming Dreams into Reality - New Hope from Columbia," NASA 2008. "Prostate Modeling Experiment Success Becomes Part of Legacy of Shuttle Astronauts," Journal of the National Cancer Institute Vol. 95, No. 7, 505-507, April 2, 2003. "Genes in Microgravity," Discover, September 2001. "Microgravity and Gene Expression: Early Results Point to Relationship," The Scientist Vol. 13, No. 18, September 13, 1999. "New Horizons for Stem Cell Bioreactors," Biotechnology Vol. 10, October 1992. "NASA Ready to Attempt Human Cell Growth in Space," Aviation Week and Space Technology, July 1992. "NASA/JSC Inventor of the Year," NASA Tech Brief's, Vol. 16, No. 3, March 1992. "Shear Bliss," Scientific American, February 1992. 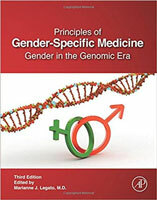 Schmidt,M.A., Goodwin, T.J.*, Cuttino, M., Personalized Medicine in Space Flight, Part I: The Space Context and Standard Clinical Approaches: In Principles of Gender-Specific Medicine 3rd ed., MJ. Legato (Ed), Elsevier, Academic Press, San Diego, CA (2017). Schmidt,M.A., Goodwin, T.J.*, Cuttino, M., Personalized Medicine in Space Flight, Part II: Personalized Precision Medicine Approaches: In Principles of Gender-Specific Medicine 3rd ed., MJ.Legato (Ed), Elsevier, Academic Press, San Diego, CA (2017). Vertrees,R.A., J.M. Jordan, T. Solley, and T.J. Goodwin*. Tissue Culture Models, Basic Concepts of Molecular Pathology (Amazon.com), Vol. 2, T.C. Allen and P.T. Cagel (Eds), Springer Science and Business Media, LLC. New York, NY. 2009. Vertrees,R.A., T.J. Goodwin*, J.M. Jordan, and J.B. Zwishenberger. Tissue Culture Models, Molecular Pathology of Lung Diseases (Amazon.com), D.S. Zander, H.H. Popper, J. Jagirdar, A.K. Haque, P.T. Cagel and R. Barrios (Eds), Springer Science and Business Media, LLC. New York, NY. 2008. Goodwin, T.J.; Christofidou-Solomidou, M. Oxidative Stress and Space Biology: An Organ-Based Approach. Int. J. Mol. Sci. 2018, 19, 959. Alwood,J.S., Ronca1, A.E., Mains, R.C., Shelhamer, M.J., Smith, J. D., Goodwin, T.J.; “From the Bench to Exploration Medicine: NASA Life Sciences Translational Research for Human Exploration and Habitation Missions;”npj Microgravity3:5 ; doi:10.1038/s41526-016-0002-8, 2017. Pietrofesa,R.A., Velalopoulou, A., Lehman, S.L., Arguiri, E., Solomides, P., Koch, C. J., Goodwin, T.J.,Christofidou-Solomidou, M.;“Novel Double-Hit Model of Radiation and Hyperoxia-Induced Oxidative Cell Damage Relevant to Space Travel,”International Journal of Molecular Sciences, 17(6), 953. http://doi.org/10.3390/ijms17060953, 2016. Schmidt,M.A., Goodwin, T.J., Pelligra, R., “Incorporation of Omics Analyses into Artificial Gravity Research for Space Exploration Countermeasure Development,”Metabolomics, DOI 10.1007/s11306-015-0942-0, 2016. Goodwin,T.J., McCarthy M., Cohrs R.J., Kaufer, B.B.,“3D Tissue-like Assemblies: A Novel Approach to Investigate Virus–Cell Interactions,” Methodsdoi: 10.1016/ j.ymeth.2015.05.010, 2015. Goodwin,T.J., McCarthy M., Osterrieder N., Cohrs R.J., and Kaufer, B.B. “Three-Dimensional Normal Human Neural Progenitor Tissue-Like Assemblies: A Model of Persistent Varicella-Zoster Virus Infection,”PloS Pathogens9(8): e1003512. doi:10.1371/journal.ppat.1003512, 2013. Schmidt,M.A. and Goodwin, T.J., (2013) “Personalized Medicine in Human Space Flight: Using Omics Based Analyses to Develop Individualized Countermeasures that Enhance Astronaut Safety and Performance,” Metabolomics, DOI 10.1007/s11306-013-0556-3, 2013. Deatly,A.M., Y.H. Lin, M. McCarthy, W. Chen, L.Z. Miller, J. Quiroz, B.M. Nowak, R.A. Lerch, S.A. Udem, T.J. Goodwin, “Paramyxovirus Infection Mimics In Vivo Cellular Dynamics in Three-Dimensional Human Bronchio-Epithelial Tissue-Like Assemblies,”NASA/TP–2012-217363, 2012. GoodwinT.J., Tissue-like 3-D Assemblies of Human Broncho-Epithelial Cells, Medical Design Briefs, p. 24-25, March 2010. Vertrees,R.A. ; M. McCarthy; T. Solley; V.L. Popov; J. Roaten; M. Pauley; X. Wen; and T.J. Goodwin*. 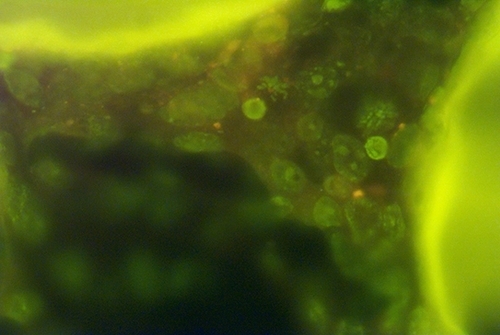 "Development Of A Three-Dimensional Model Of Lung Cancer Using Cultured Transformed Lung Cells," Cancer Biology and Therapy, 8:4, February 2009. Goodwin,T.J. *; M. McCarthy; Y.H. Lin; A.M. Deatly. "Three-Dimensionally Engineered Normal Human Lung Tissue-Like Assemblies: Target Tissues for Human Respiratory Viral Infections," NASA Technical Paper TP-2008-214771, March 2008. Vertrees,R.A. ; J.B., Zwishenberger; P.J.Boor; V.Popov; M. McCarthy; T.N. Solley; and T.J. Goodwin*. "Cellular Differentiation in Three-Dimensional Lung Cell Cultures," Cancer Biology and Therapy, 7:3, March 2008. Suderman,M.T. ; M. McCarthy; E. Mossell; D.M. Watts; C.J. Peters; R. Shope; and T.J. Goodwin,* "Three-Dimensional Human Bronchial-Tracheal Epithelial Tissue-Like Assemblies as Hosts for Severe Acute Respiratory Syndrome-CoV Infection," NASA Technical Paper TP–2006–213723, July 2006. Ho¨ner Kerstinzu Bentrup, R. Ramamurthy; C.M. Ott; K.Emami; M. Nelman-Gonzalez; J.W. Wilson; E. G. Richter; T.J. Goodwin; S.J. Alexander; D.L. Pierson; N. Pellis; K.L. Buchanan; and C.A. Nickerson. "Three-dimensional organotypic models of human colonic epithelium to study the early stages of enteric salmonellosis," Microbes and Infection 8 (7) 1813-25, June 2006. Vertrees,R.A. ; G.C. Das; V.L. Popov; A.M. Coscio; T.J. Goodwin; R.Logrono; J.B. Zwischenberger; and P.J. Boor. "Synergistic interaction of hyperthermia and gemcitabine in lung cancer," Cancer Biology and Therapy 1:4 (10) October 2005. Wang,Ruoxiang; Xu J.; L. Juliette; A.Castilleja; J.Love; S-Y Sunga; H.E. Zhaua; T.J. Goodwin, and L.W.K. Chung. 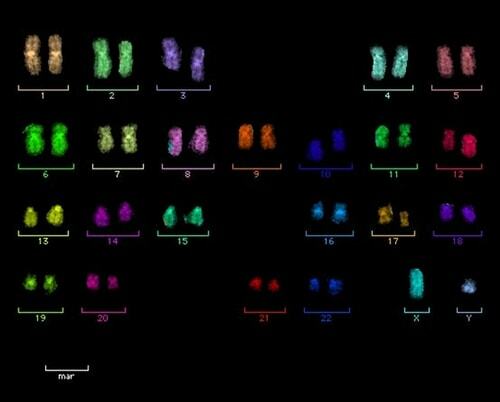 "Three-dimensional co-culture models to study prostate cancer growth, progression, and metastasis to bone." Review: Seminars in Cancer Biology, (15) 353-354, 2005. Kleis,S.J., T. Trinh; T. Truong; and T. J. Goodwin. "Fluid Dynamic Evaluation of the NASA/MMRB Automated Bioreactor Concept ," NASA Technical Manuscript –TM-2005–213145, August, 2005. Kleis,S.J. ; T. Truong; and T.J. Goodwin. "Automated Static Culture System Cell Module Mixing Protocol and Computational Fluid Dynamics Analysis," NASA Technical Paper –TP-2004–212066, January 2004. Goodwin,T.J. ; C. Lundquist; J. Tuxhorn; and K. Hurlbert. “The biotechnology facility for International Space Station,” Journal of Gravitational Physiology 11(1):75-80, 2004. Nickerson,C.A. ; T.J. Goodwin; J. Terlonge; C.M. Ott; K.L. Buchanan; W.C. Uicker; K. Emami; C.L. LeBlanc, R. Ramamurthy; M.S. Clarke; C.R Vanderburg; T.G. Hammond; and D.L. Pierson. "Three-dimensional tissue assemblies: novel models for the study of Salmonella enterica serovar Typhimurium pathogenesis," Infection and Immunity 69(11):7106-20, November 2001. Goodwin,T.J. ; L. Coate-Li; R.M. Linnehan; and T.G. Hammond. Selected Contribution: “A three-dimensional model for assessment of in vitro toxicity in Balaena mysticetus renal tissue,” Journal of Applied Physiology 89: 2508-2517, December 2000. Jessup,J. M.; M. Frantz; E. Sonmez; J. Locker; K. Skena; H. Waller; Paul Battle; A. Nachman; M.W. Weber; D.A. Thomas; R.L. Curbeam; T.L. Baker; and T.J. Goodwin. “Microgravity Culture Reduces Apoptosis and Increases the Differentiation of a Human Colorectal Carcinoma Cell Line.” In Vitro Cellular and Developmental Biology Vol. 36(6): 367-73, June 2000. Hammond,T.G. ; E. Bennes; K.C. O'Reilly; D.A. Wolf; R.M. Linnehan; A. Taher; J.H. Kaysen; P. L. Allen; and T.J. Goodwin. "Mechanical Culture Conditions Effect Gene Expression: Gravity induced changes on the Space Shuttle," Physiological Genomics 3:163-173, June 2000. Goodwin,T. J.; T.G. Hammond; J.H. Kaysen; L.Coate-Li; R.M. Linnehan; T.M. O’Hara; and T.F. Albert. "Preliminary report on the culture and metallothionine molecular analysis of tissues from subsistence harvested Bowhead (Balaena Mysticetus) whales: development of a model for the study of heavy metals in cetaceans," Report to the International Whaling Commission, May 1999. Goodwin,T.J. and T.G. Hammond, "Utilizing Shear Stresses in Rotating Cell Culture Vessels," NASA Technical Brief MSC-22859, 1999.Hammond,T.G. ; T.J. Goodwin; F.C. Lewis; R.M. Linnehan; D.A. Wolf; K.P. Hire; W.C. Campbell; E. Benes; K.C. O’Reilly; R.K. Globus; and J.H. Kaysen. "Gene Expression in Space," Nature Medicine Vol. 5, no. 4, April 1999. Kaysen,J.H. ; W.C. Campbell; R.R. Majewski; F.O. Goda; G.L. Navar; T.J. Goodwin; and T.G. Hammond. "Select de novo gene and protein expression during renal epithelial cell culture in rotating wall vessels is shear stress dependent," Journal of Membrane Biology Vol. 168(1):77-89, 1999. Hammond,T.G. ; F.O. Goda; G.L. Navar; W.C. Campbell; R.R. Majewski; D.L. Galvan; F. Pontillon; J.H. Kaysen; T.J. Goodwin; S.W. Paddock; and P.J. Verroust. "Membrane potential mediates H+-ATPase dependence of 'degradative pathway' endosomal fusion," Journal of Membrane Biology Vol. 162:157-167, 1998. Lelkes,P.I. ; D.L. Galvan; G.T. Hayman; T.J. Goodwin; D.Y. Chatman; S. Cherian; R.M.G. Garcia; and B. Unsworth. "Simulated microgravity conditions enhance differentiation of cultured PC12 cells towards the neuroendocrine phenotype," In Vitro Cellular & Developmental Biology Vol. 34:316-325, March 1998. Ingram,M. ; G.B. Techy; R. Saroufeem; O. Yazan; K.S. Narayan; T.J.Goodwin; and G.F. Spaulding. "Three dimensional growth patterns of various human tumor cell lines in simulated microgravity of a NASA bioreactor," In Vitro Cellular & Developmental Biology 33(6):459-466, June 1997. Zhau,H.E. ; T.J. Goodwin; S-M Chang; T.L. Baker; and L.W.K. Chung. "Establishment of a 3-dimensional human prostate organoid co-culture under microgravity-simulated conditions: Evaluation of androgen-induced growth and PSA expression," In Vitro Cellular & Developmental Biology 33(5):375-380, May 1997. Baker,T.L. and T.J. Goodwin. "Three-dimensional culture of bovine chrondrocytes in rotating-wall vessels," In Vitro Cellular & Developmental Biology 33(5):358-365, May 1997. Pellis,N.R. ; T.J. Goodwin; D. Risin; B.W. McIntyre; R.P. Pizzini; D. Cooper; T.L. Prewett; and G.F. Spaulding. "Changes in gravity inhibit lymphocyte locomotion through type I collagen," In Vitro Cellular & Developmental Biology 33(5):398-405, May 1997. Jessup,J.M. ; D. Brown; W. Fitzgerald; R.D. Ford; A. Nachman; T.J. Goodwin; and G. Spaulding. "Induction of carcinoembryonic antigen expression in a three-dimensional culture system," In Vitro Cellular & Developmental Biology 33(5):352-357, May 1997. Lelkes,P.I. ; E. Ramos; V.V. Nikolaychik; D.M. Wankowski; B.R. Unsworth; and T.J. Goodwin. "GTSF-2: A new, versatile cell culture medium for diverse normal and transformed mammalian cells," In Vitro Cellular & Developmental Biology 33(5):344-351, May 1997. Goodwin,T.J. ; T.L. Prewett; G.F. Spaulding; and J.L. Becker. "Three-dimensional culture of a mixed mullerian tumor of the ovary: expression of in vivo characteristics," In Vitro Cellular & Developmental Biology 33(5):366-374, May 1997. Spaulding,G.F. ; T.L. Prewett; and T.J. Goodwin. "Growing bladder cancer cells in three-dimensional clusters," NASA Technical Brief Vol. 19, No. 12, p.26, December 1995. Wolf,D.A. and T.J. Goodwin. "Growing three-dimensional cocultures of cells," NASA Technical Brief Vol. 19, No. 5, p. 94, May 1995. Wolf,D.A. ; G.F. Spaulding; T.L. Prewett; and T.J. Goodwin. "Three-dimensional cocultures of human small intestine cells," NASA Technical Brief Vol. 18, No. 1, p. 68, January 1994. Jessup,J.M. ; K. Brown; S. Ishii; R. Ford; T. J. Goodwin; and G. Spaulding. "Simulated microgravity does not alter epithelial cell adhesion to matrix and other molecules," Advances in Space Research 14, 1994. Becker,J.L. ; T.L. Prewett; G.F. Spaulding; and T.J. Goodwin. "Three Dimensional Growth and Differentiation of Ovarian Tumor Cell Line in High Aspect Rotating-Wall Vessel: Morphologic and Embryologic Considerations," Journal of Cellular Biochemistry 51, 1993. Goodwin,T.J. ; T.L. Prewett; D.A. Wolf; and G.F. Spaulding. "Reduced Shear Stress: A Major Component in the Ability of Mammalian Tissues to Form 3-Dimensional Assemblies in Simulated Microgravity," Journal of Cellular Biochemistry 51, 1993. Jessup,J.M., T.J. Goodwin, and G. F. Spaulding. "Prospects for Use of Microgravity-Based Bioreactors to Study Three-Dimensional Host-Tumor Interactions in Human Neoplasia," Journal of Cellular Biochemistry 51, 1993. Spaulding,G.F. ; J.M. Jessup; and T.J. Goodwin. "Advances in Cellular Construction," Journal of Cellular Biochemistry 51, 1993. Goodwin,T.J. ; W.F. Schroeder; D.A. Wolf; and M.P. Moyer. "Coculture of Normal Human Small Intestine Cells in a Rotating-Wall Vessel Culture System," Proceedings of the Society for Experimental Biology and Medicine Vol. 202, February 1993. Prewett,T.L. ; T.J. Goodwin; and G.F. Spaulding. "Three-Dimensional Modeling of T-24 Human Bladder Carcinoma Cell Line: A New Simulated Microgravity Vessel," Journal of Tissue Culture Methods, January 1993. Schwarz,R.P. ; T.J. Goodwin; and D.A. Wolf. "Cell Culture for Three-Dimensional Modeling in Rotating-Wall Vessels: An Application of Microgravity," Journal of Tissue Culture Methods 14:2 51-58, April 1992. Tsao,Y.D. ; T.J. Goodwin; D.A. Wolf; and G.F. Spaulding. "Responses of Gravity Level Variations on the NASA/JSC Bioreactor System," The Physiologist 35:1 49-50, February 1992. Goodwin,T.J. ; J.M. Jessup; and D.A. Wolf. "Morphological Differentiation of Colon Carcinoma Cell Lines HT-29 and HT-29KM in Rotating-Wall Vessels," In Vitro Cellular and Developmental Biology 28A 47-60, January 1992. Goodwin,T.J. ; J.M. Jessup; C.F. Sams; and D.A. Wolf. "In Vitro Three-Dimensional Tissue Modeling." JSC Research and Technology Report 1988, NASA Technical Memorandum 100 473, March 1989. Rutzky,L.P. ; T.J. Goodwin; S.J. LeGrue; and B.D. Kahan. "Monoclonal Antibody Defined Human Colon Tumor-Associated Antigen,"Proceedings for the American Society of Cancer Research. 26:296, 1985. Rutzky,L.P. ; T.J. Goodwin; J. Sengupta; B.D. Kahan; and B.H. Tom. "Liposome-Mediated Immunogenicity of Human Colon Tumor Antigens," Federal Proceedings 41:791, 1982. Tom,B.H. ; T.J. Goodwin; J. Sengupta; B.D. Kahan; and L.P. Rutzky. "A New Approach for the Immunogenic Presentation of Membrane-Bound Human Colon Tumor Antigens," The Journal of Immunology Communications 11:315-323, 1982. Schmidt,M.A. and T.J. Goodwin, Next Generation Sub Orbital Researchers Conference:“Optimizing DNA Stability Prior to Entering Space Radiation Environments; June 2013. Schmidt,M.A. and T.J. Goodwin, Next Generation Sub Orbital Researchers Conference:“Three Dimensional Human Tissues as Surrogates for Assessing Radiation Effects on Humans Undergoing Repeated Suborbital Exposures;” Feb. 2012. Goodwin,T.J., Next Generation Sub Orbital Researchers Conference “Three Dimensional Human Tissues as Surrogates for Suborbital & Orbital Research into Human Cellular Genomics, Proteomics, and Metabolomic Tissue Responses During Transitional Space Flight;” Feb.2010. Goodwin,T.J., Schneider, S.L., Gibbons, T.F., MacIntosh, V.H., “Next Generation Respiratory Viral Vaccine System: Advanced & Emerging Bioengineered Human Lung Epithelia Model (HLEM) Organoid Technology, 13 th Annual Force Health Protection Conference, Aug. 9-13, 2010. GoodwinT.J., Schneider, S.l., Gibbons,T.F.,MacIntosh, V.H., “Next Generation Respiratory Viral Vaccine System: Advanced & Emerging Bioengineered Human Lung Epithelia Model (HLEM) Organoid Technology, 13th Annual Force Health Protection Conference, August 9-13, 2010. Lin,Y-H:, L.Z. Miller; W. Chen; D. Cooper; M. McCarthy; T.J. Goodwin; R.M. Hendry; D.K. Clarke; J.H. Eldridge; S.A. Udem; and A.M. Deatly. "Wild Type VSV Evades Antiviral Responses of 3-D Normal Human Neural Progenitor Cells" (Abst. ), Negative Strand Virology, 13th International Conference, June 17-22, 2006. Chen,W. ; Y-H. Lin; L.Z. Miller; B. Nowak; L. Boutilier; K. Melville; R.L. Lerch; C. Parks; M. McCarthy; T.J. Goodwin; G.E. Hancock; N. Terio; T. Chen; M. Elliott; H. Arendt; J. Obregon; J. DeStefano; S.A. Udem; J.H. Eldridge; and A.M. Deatly. "Humanized Bovine PIV3 Viruses Encoding RSV Glycoproteins are Attenuate in a 3-D Model of Human Respiratory Epithelium," (Abst.) American Society for Virology, 25th Annual Meeting, July 15-19 2006. Miller,L.Z. ; Y-H. Lin; W. Chen; M. McCarthy; T.J. Goodwin; R.M. Hendry; D.K. Clarke; J.E. Johnson; F. Nasar; M. Lee; S. Heron; S.A. Udem; J.H. Eldridge; and A.M. Deatly. "Development of a Novel 3-D Model of Human Neural Progenitor Cells to Identify Biomarkers of Vesicular Stomatitis Virus Induced Neuro-virulence" (Abst. ), American Society for Virology 25th Annual Meeting, July 15-19 2006. Goodwin,T.J. ; M.A. McCarthy; and R.G. Dennis. "Physiological and Molecular Genetic Effects of Time Varying Electromagnetic Fields (TVEMF) on Human Neuronal Cells," Medicine and Science in Sports and Exercise, Vol. 37:5 Suppl. 2005. Suderman,M.T. ; E. Mossel; D.M. Watts; C.J. Peters; M.A. McCarthy; R.E. Shope; and T.J. Goodwin. "Severe Acute Respiratory Syndrome (SARS)-CoV Infection in a Three-Dimensional Human Bronchial-Tracheal (HBTE) Tissue-Like Assembly" (Abst. ), American Society for Virology 23rd Annual Meeting, July 10-14 2004. Goodwin,T.J. ; A.M. Deatly; M.T. Suderman; Y.H. Lin; W. Chen; C.K. Gupta; V.B. Randolph; and S.A. Udem. "Three-Dimensional Engineered High-Fidelity Normal Human Lung Tissue-Like Assemblies (TLA) as Targets for Human Respiratory Virus Infection" (Abst. ), American Society for Virology 22rd Annual Meeting, July 12-16 2003. Hammond,T.G. ; T.J. Goodwin; G.L. Navar; F.O. Goda; W.C. Campbell; J.R. Ostberg; P.J. Verroust; and J.H. Kaysen. "Epithelial cell gene expression is shear stress responsive,"American Society of Cell Biology, 1998. Risin,D. ; T.L. Baker; J. Campbell-Washington; T.J. Goodwin; and N.R. Pellis. "Expression of differentiation markers in HL-60 cells in simulated microgravity," Proceedings of the American Association of Cancer Research Meeting, Vol 38:499 (Abst.#3345), 1997, April 12-17, 1997, San Diego CA. Campbell-Washington,J. ; J.N. Craig; T. Baker; D. Risin; T.J. Goodwin; and N.R. Pellis. "Differential display RT-PCR analysis and cloning of novel mRNAs expressed in HL-60 promyelocytic cells cultured in simulated microgravity conditions," (Abst.) Federation of American Societies for Experimental Biology (FASEB) 10(6), April 1996. Presented at the ASBMB/ASIP/AII Joint Meeting, June 6-8, 1996, New Orleans LA. Jessup,J.M. ; T.J. Goodwin; R. Garcia; and N.R. Pellis. "STS-70: Flight of EDU-1, NASA Symposium: Cell Culture Bioreactor and Three Dimensional Culture Studies, World Congress on In Vitro Biology, June 25, 1996, San Francisco CA. Pellis,N.R. ; T.J. Goodwin; J. Campbell-Washington; D. Risin; R. Pizzini; D. Morrison; and S. Gonda. NASA Symposium: Cell Culture Bioreactor and Three Dimensional Culture Studies, World Congress on In Vitro Biology, June 25, 1996, San Francisco; CA. Hammond,T.G. ; D.L. Galvin; T.J. Goodwin; and P.I. Lelkes. "Human renal epithelial cells in culture diffierentiate under simulated microgravity," In Vitro Cellular and Developmental Biology Vol. 31 No. 3 Part II, p.9A, 1995. Galvan,D.L. ; B.R. Unsworth; T.J. Goodwin; J. Liu; and P.I. Lelkes. "Microgravity enhances tissue-specific neuroendocrine differentiation in cocultures of rat adrenal medullary parenchymal and endothelial cells." In Vitro Cellular and Developmental Biology Vol. 31 No. 3 Part II, p.10A, 1995. Lelkes,P.I. ; J. Liu; D. Wanakowski; D. Galvan; B. Unsworth; and T.J. Goodwin. "Simulated microgravity conditions enhance neuroendorcrine organoid formation in vitro." American Institute of Aeronautics and Astronautics (AIAA), Life Sciences and Space Medicine Conference and Exhibition '95, April 3-5, 1995, Houston TX. Fitzgerald,W. ; J.N. Craig; G.F. Spaulding; J.M. Jessup; and T.J. Goodwin. "Expression of carcinoembryonic antigen in MIP101 colon carcinoma cells in rotating wall vessel culture," Molecular Biology of the Cell Vol. 5, Suppl., 1994. Goodwin,T.J. ; T.L. Prewett; D. Risin; D.L. Pierson; and M.L. Jones. "Differentiation of HL-60 Cells in Rotating-Wall Vessels: Induction by Simulated Microgravity." Molecular Biology of the Cell Vol.5, Suppl. p. 481a, 1994. Goodwin,T.J. and G.F. Spaulding. "Mammalian Cell Culture in the NASA Bioreactor," Society for Industrial Microbiology, 1994.Pellis,N.R. ; T.J. Goodwin; D. Risin; B.W. McIntyre; R.P. Pizzini; D. Cooper; T.L. Prewett; and G.F. Spaulding. "Human Lymphcyte Locomotion in Randomize Gravity," In Vitro Cellular and Developmental Biology Vol. 30A No.3 Part II, 1994. Chung,L.W.K. ; T.J. Goodwin; H.Y.E. Zhau; T.L. Prewett; and G.F. Spaulding. "Microgravity Affects Human Prostate Cancer Growth and Differentiation: A Preliminary Report," In Vitro Cellular and Developmental Biology Vol. 30A No.3 Part II, 1994. Becker,J.L. ; T.L. Prewett; T.J. Goodwin; and G.F. Spaulding. "Growth and Gene Expression in Human Ovarian Cancer," In Vitro Cellular and Developmental Biology Vo.l 30A No.3 Part II, 1994. Jessup,J.M. ; W. Fitzgerald; J. Polanec; R. Ford; T.J. Goodwin; G.F. Spaulding; and D. Brown. "CEA Production in Human Colon Cancer," In Vitro Cellular and Developmental Biology Vo.l 30A No.3 Part II, 1994. Levine,E.M. ; T.J. Goodwin; T.L. Prewett; and G.F. Spaulding. "Cultured Human Endothelial and Smooth Muscle Cells," In Vitro Cellular and Developmental Biology Vol. 30A No.3 Part II, 1994. Prewett,T.L. and T.J. Goodwin. "Three-Dimensional Culture of Bovine Chondrocytes in Rotating-Wall Vessels.," In Vitro Cellular and Developmental Biology Vol 30A No.3 Part II, 1994. Goodwin,T.J. ; T.L. Prewett; G.F. Spaulding; R.H. Widen; and J.L. Becker. "A Model for Culture of Primary Breast Carcinoma Tissues in Rotating Wall Vessels (RWV)," Thirty-third American Society for Cell Biology Annual Meeting. Submitted. Francis,K. ; K. O'Connor; T. Prewett; T.J. Goodwin; and G.F. Spaulding. "The NASA High-Aspect Ratio Vessel (HARV): A Novel Bioreactor for Insect-Cell Cultivation," The 6th Annual Meeting of Japanese Association for Animal Cell Technology. Submitted. Becker,J.L. ; T.L. Prewett; T.J. Goodwin; and G. F. Spaulding. "Simulated Microgravity Model of Ovarian Tumor Growth," (Abst.93-4100), 24th AIAA Conference on Life Sciences and Systems, September 21-23, 1993. Edwards,M.L. ; M. Uthman; G. Spaulding; T.J. Goodwin; and A. Holian. "Type II Pneumocytes Retain Differentiated Morphology in a Low-Shear Suspension Culture," American Thoracic Society. Jessup,J.M. and T. J. Goodwin. "Simulated Microgravity Improves Production of Colonic Growth Factors" (Abst. 93-4098), 24th AIAA Conference on Life Sciences and Systems, September 21-23, 1993. Francis,K.M. ; K. O’Connor; A.D. Andrews; G.F.Spaulding; and T.J. Goodwin. "Growth, Metabolic Activity and Recombinant Protein Expression for Fall Armyworm Ovary Cells Cultured in the NASA High-Aspect Ratio Vessel" (Abst.93-4099), AIAA Conference on Space Programs and Technologies, September 21-23, 1993. Goodwin,T.J. ; N. R. Pellis; D. Risin; and G. F. Spaulding. "Inhibition of Normal Human Peripheral Blood Lymphocyte Locomotion through Collagen Matrix in Simulated Microgravity," Molecular Biology of the Cell 3S 361A, September 1992. Prewett,T.L. ; J. Becker; G.F. Spaulding; and T.J. Goodwin. "Morphological and Immunohistochemical Analysis of LN1 Ovarian Tumor Cell Line Grown in Rotating-Wall Vessels," Molecular Biology of the Cell 3S 23A, September 1992. Jessup,J.M. ; K. Brown; S. Ishii; R. Ford; T.J. Goodwin; and G.F. Spaulding. "Simulated Microgravity Does Not Alter Epithelial Cell Adhesion to Matrix and Other Molecules," Molecular Biology of the Cell 3S 71A, September 1992. Goodwin,T.J. ; W.F. Schroeder; D.A. Wolf; and M.P. Moyer. "Coculture of Normal Human Small Intestine Cells in a Rotating-Wall Vessel Culture System," In Vitro Cellular and Developmental Biology 28:3 153A, March 1992. Prewett,T.L. ; T.J. Goodwin; R.P. Schwarz; and G.F. Spaulding. "Three-Dimensional Modeling of T-24 Human Bladder Carcinoma Cell Line: A New Simulated Microgravity Vessel," In Vitro Cellular and Developmental Biology 28:3 161A, March 1992. Goodwin,T.J. ; D.A. Wolf; J.H. Cross; and C.F. Sams. "Reduction of Lysozyme Expression in HT-29KM Grown in a Three-Dimensional Culture System in Glucose Medium," In Vitro Cellular and Developmental Biology 26:48A, 1990. Moyer,M.P. ; A.L. Culpepper; J.W. Egan; T.L. Johnson; T.J. Goodwin; C.F. Sams; and S. Gonda. "Human Cells Cultured in Simulated Microgravity," In Vitro Cellular and Developmental Biology 26:40A, 1990. Goodwin,T.J. ; D.A. Wolf; C.F. Sams; C.D. Bucana; J.M. Jessup; and N.M. Cintron. "Differentiation of HT-29 and HT-29KM in a Three-Dimensional Culture System in Glucose Medium," In Vitro Cellular and Developmental Biology 25:20A, 1989. Jessup,J.M. ; T.J. Goodwin; C.D. Bucana; C.F. Sams; and D.A. Wolf. "Matrix Association Culture System (MACS): A New Three-Dimensional Culture System for Growth Factor Analysis," The Journal of Cell Biology 107:1441, 1989. Rutzky,L.P. ; T.J. Goodwin; S.J. LeGrue; and B.D. Kahan. "Colon Tumor-Associated Antigen Defined by a Monoclonal Antibody," In Vitro Cellular and Developmental Biology 21:28A, 1985. Rutzky,L.P. ; T.J. Goodwin; and B.D. Kahan. "Human Colon Tumor Cell Line Antigen Defined by a Monoclonal Antibody," Proceedings of the American Society of Cancer Research 25:253, 1984. Goodwin,T.J. ; N.R. Pellis; D. Risin; G.F. Spaulding. "Inhibition of Normal Human Peripheral Blood Lymphocyte Locomotion Through Collagen Matrix in Simulated Microgravity," American Society for Cell Biology Annual Meeting, November 1992, Denver CO. Jessup,J.M. ; K. Brown; S. Ishii; R. Ford; T.J. Goodwin; and G.F. Spaulding. "Simulated Microgravity Does Not Alter Epithelial Cell Adhesion to Matrix and Other Molecules," American Society for Cell Biology Annual Meeting, November 1992, Denver CO. Prewett,T.L. ; T.J. Goodwin; G.F. Spaulding; and J.L. Becker. "Morphological and Immunohistochemical Analysis of LN1 Ovarian Tumor Cell Line Grown in Rotating-Wall Vessels," American Society for Cell Biology Annual Meeting, November 1992, Denver CO. Jessup,J.M. ; R. Ford; G. Spaulding; and T.J. Goodwin. "Use of Microgravity Emulation to Test the Function of Three-Dimensional Human Colon Carcinoma Cell Cultures," COSPAR Meeting, August 1992, Washington DC. Jessup,J.M. ; R. Ford; T.J. Goodwin; and G. Spaulding. "Effect of Simulated Microgravity on Human Epithelial Cell Association and Recognition," Aerospace Medical Association Meeting, May 1992, Miami FL. Goodwin,T.J. ; D.A. Wolf; J.H. Cross; and C.F. Sams. "Reduction of Lysozyme Expression in HT-29KM Grown in a Three-Dimensional Culture System in Glucose Medium," Tissue Culture Meeting, June 10-13, 1990, Houston TX. Weinstein,R.S. ; J.R. Kuszak; C.F. Sams; T.J. Goodwin; W. Knudson; and S.R. Gonda. "Morphogenesis in Simulated Microgravity: Epithelial-Stromal Interactions Between HT-29 Colon Adenocarcinoma Cells and Normal Fibroblasts in Low Shear Culture," American Society for Cell Biology, November 5‑9, 1989, Houston TX. Goodwin,T.J. ; D.A. Wolf; C.F. Sams; C.D. Bucana; J.M. Jessup; and N.M. Cintron. "Differentiation of HT-29 and HT-29KM in a Three-Dimensional Culture System in Glucose Medium," Tissue Culture Association Meeting, June 11-14, 1989, Orlando FL. Jessup,J.M. ; T.J. Goodwin; C.D. Bucana; C.F. Sams; and D.A. Wolf. "Rotating-Wall Vessels (RWVs) Simulate Some Aspects of Microgravity and Permit Expression of Differentiation of Colon Carcinoma," Aerospace Medical Association Meeting, May 7-11, 1989, Washington DC. Wolf,D.A. ; R.P. Schwarz; M.L. Lewis; T.J. Goodwin; J.H. Cross; C.F. Sams; and J.M. Jessup. "Three-Dimensional Growth of Cells in Rotating Culture Systems," Aerospace Medical Association Meeting, May 7-11, 1989, Washington DC. Lewis,M.L. ; W.H. Bowie; R.P. Schwarz; J.H. Cross; T.J. Goodwin; D.A. Wolf; and C.F. Sams. "Culture of Cells in Zero-Headspace Rotating-Wall Bioreactors," Federation of American Societies for Experimental Biology, May 1-5, 1988, Las Vegas NV. Lewis,M.L. ; W.H. Bowie; R.P. Schwarz; J.H. Cross; T.J. Goodwin; C.D. Anderson; and D.A. Wolf. "Culture of Anchorage-Dependant Cells in Zero-Headspace Bioreactors," American Society for Gravitational and Space Biology Annual Meeting, October 18-21, 1987. Logan UT. BioConference / Labroots, “Bio-Engineered Regenerative Technology to Study Human Lung Viral Infections,” PACE Course 538-107-10, Oct. 2010. Next Generation SubOrbital Researchers Conference, “Three-Dimensional Human Tissues as Surrogates for Suborbital & Orbital Research into Human Cellular Genomics, Proteomics, and Metabolomic Tissue Responses During Transitional Space Flight,” Feb.2010. The Feist-Weiller Cancer Center’s Spring 2007 Seminar Series: "Three-Dimensional Oncology Models: Tissue Engineering Systems for Improved Cancer Treatment,“ February 6, 2007, Shreveport LA. Society of Industrial Microbiology: "Three-Dimensionally Engineered Normal Human Broncho-epithelial Tissue-Like Assemblies: Target Tissues for Human Respiratory Viral Infections," Annual Meeting, July 30, 2006, Baltimore MD. Grand Rounds at University of Washington Department of Neurosurgery: "Tissue Engineering/Molecular Genetics and Cellular Regeneration Using TVEMF," April 12, 2006, Seattle WA. The Honorable George Brown, U.S. House of Representatives, May 1992, Washington DC. Supported the Space Station Briefing presented to Committee Chairman Richard Durbin, U.S. House of Representatives, May 1992, Washington DC.